The SBC-8106 form factor is ideal for compact PC applications. Due to its small size (100 x 72mm) it’s easily integrated into virtually any system with severe space constraints and/or thermal restrictions, where other form factor simply will not fi t the requirements. 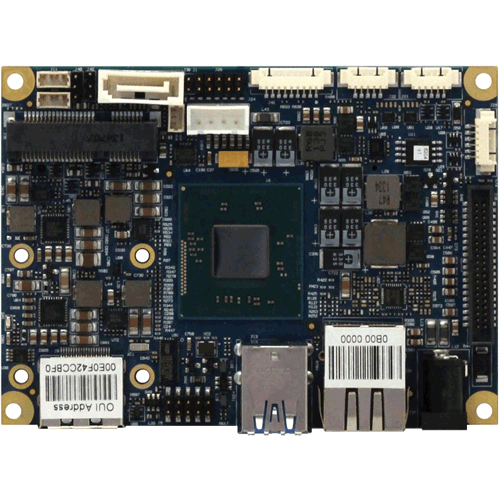 The compact size of SBC-8106 gives the board a unique advantage over traditional PC based motherboards like the mITX or Flex to become the preferred choice in any compact applications. The industry target for smaller size and lower power plays a bigger role these days. The pITX form factor is becoming more popular due to its increasing performance and substantial range of connectivity options, while still maintaining its compact size and low power consumption. Not only are SBC-8106 compact in size, but it also offers leading edge CPU and GPU performance with the next generation Intel® Atom™ System on Chip (SoC) and a large variety of high-speed interfaces. The VDX-6324 utilizes an onboard Vortex86DX Fanless 800MHz processor built for Ultra Low Power Consumption. The processor is highly integrated so that it reduces the price of any board utilizing this processor. The VDX-6324 comes with a PC/104 bus connector and an optional PCI-104 / PC/104+ bus connector which allows it to utilize higher end PCI bus based modules. The VDX-6324 has a fully static 32-bit 486 class X86 processor and is PC compatible allowing it to run most popular 32-bit Operating Systems such as DOS, Windows and Linux. The Video Chip (Volari Z9s) features 32 MB onboard video memory supporting Analog VGA monitors and TFT Flat panel interfaces and has a resolution of up to 1280x1024 @ 16M colors. 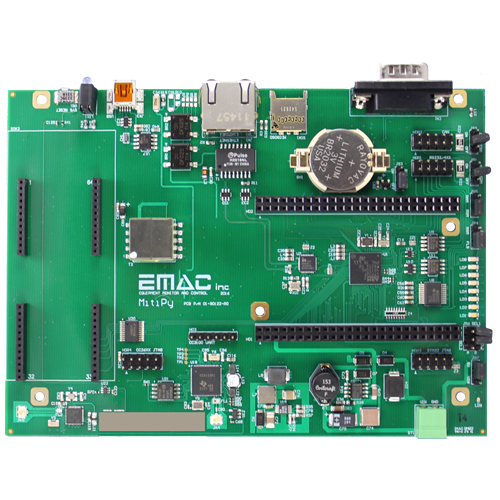 In addition to video, four USB 2.0 ports are available as well as one Parallel port (SPP/EPP/ECP modes), an UltraDMA – 100/66/3 EIDE port (which supports up to 2 IDE devices) and three RS-232 and one RS-232/422/485 serial ports. The VDX-6324 can run at temperatures of -20 º C (-4º F) to 70º C (158º F). The numerous features provide an ideal price/performance solution for commercial and industrial applications where stability and reliability (no moving parts) are essential.